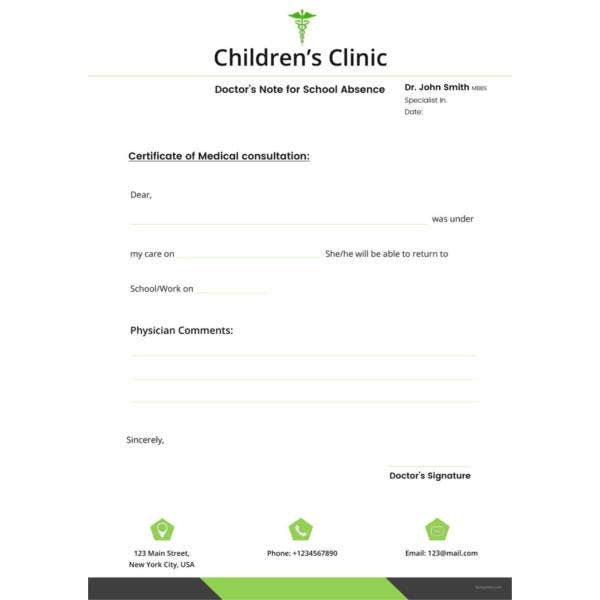 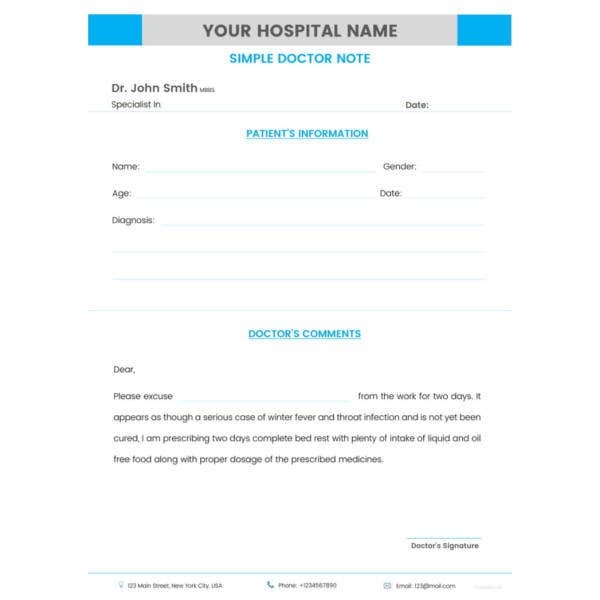 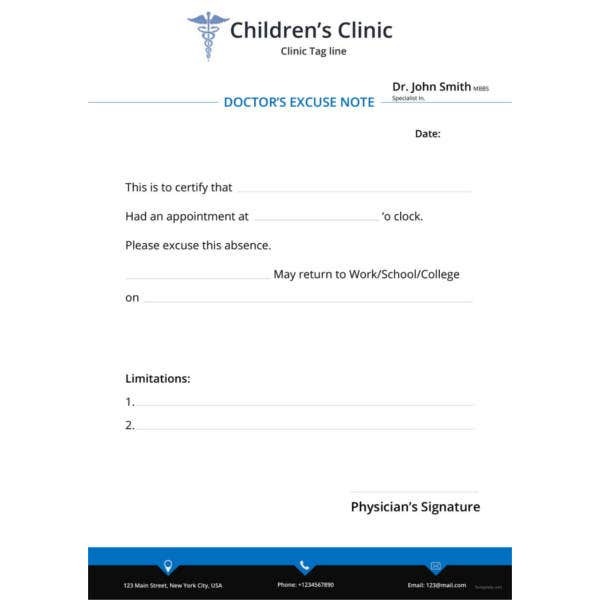 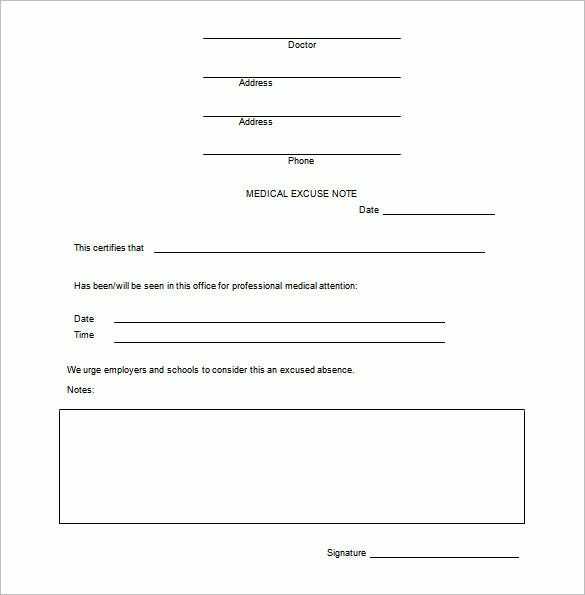 People who require leave from work, school and other places and have to write a doctor’s note every time can take a relief as there are doctor’s note templates available now on the internet. 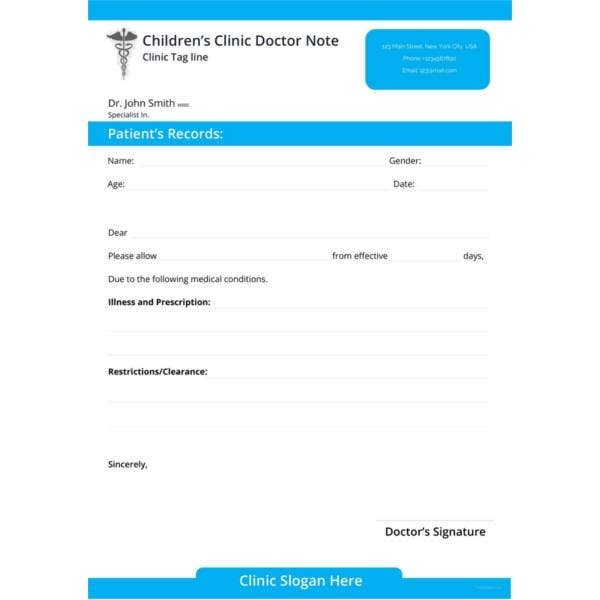 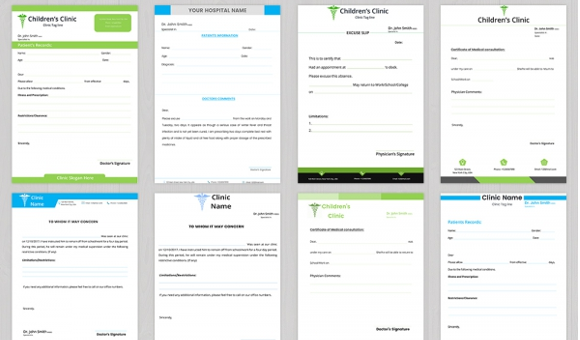 You can make Medical Doctor’s Note Templates with ease by simply Download Printable doctor’s note templates from the internet which are available in a variety of designs and for all purposes and with all kinds of excuses. 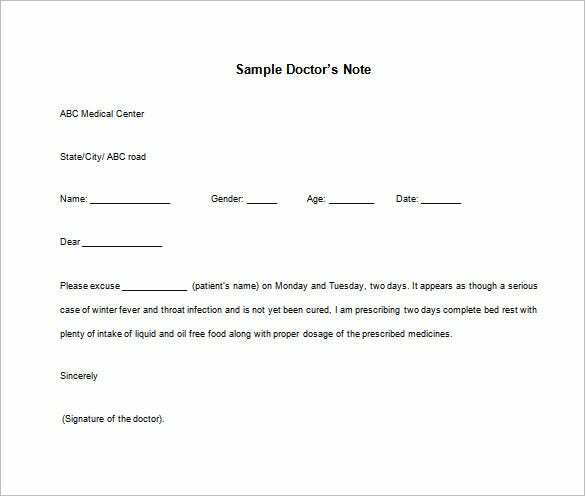 The doctor’s note here comes with both a small letter and spaces to write down a note. 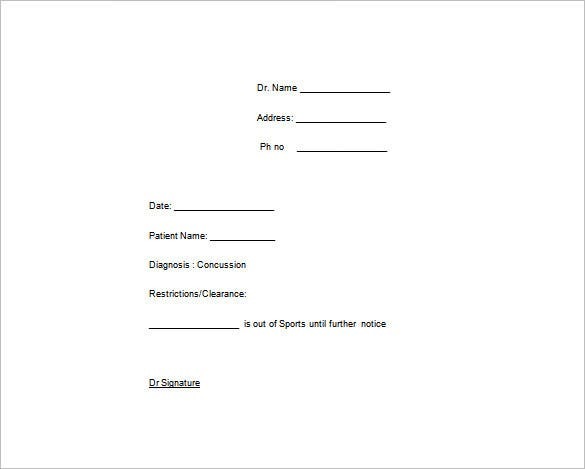 The letter conveys the formal information of leave while the note is meant to add any needed special details. 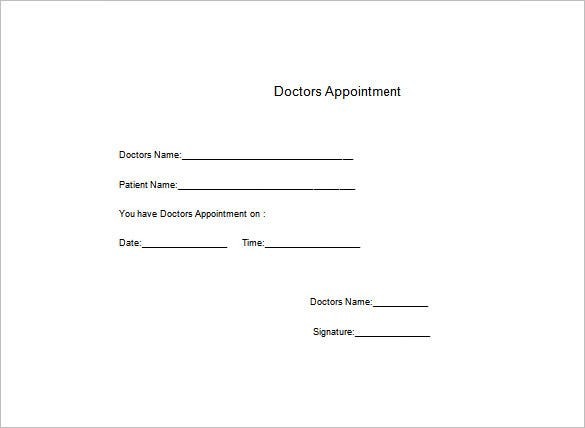 You may also see Therapy Note Templates. 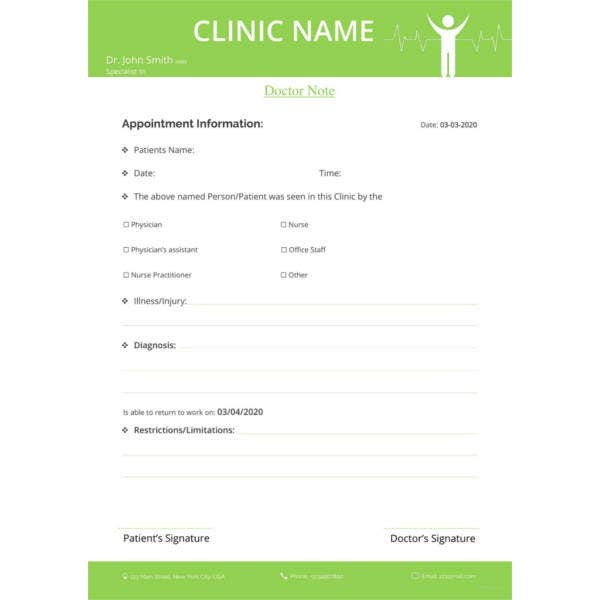 The doctor’s note here comes with a letter and full information on the basic identity details of the patient such as gender, age name etc. 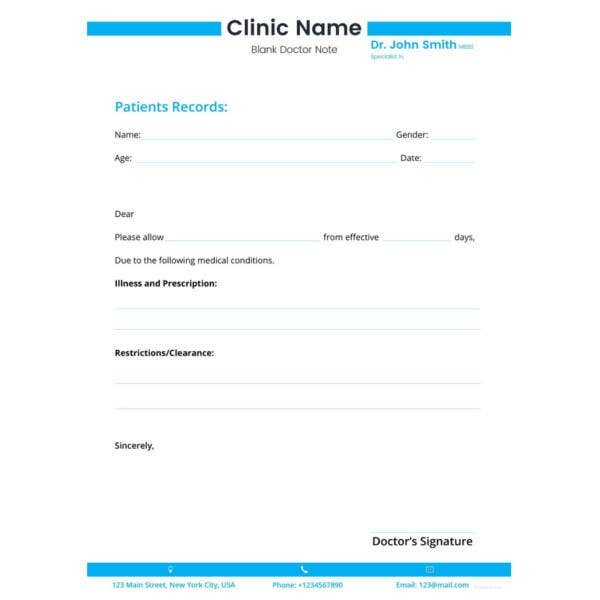 You would just have to input your particular data over a readymade framework. 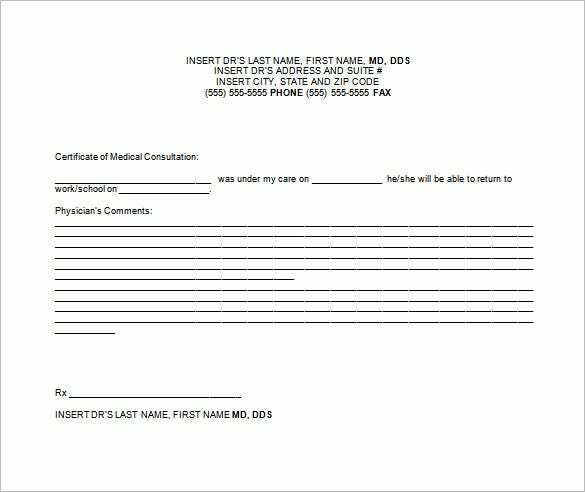 You may also see Welcome Note Templates.